Take inspiration from these exceptional eco-folk and their good work. The Engine Shed is a charitable company that helps young people with learning disabilities learn skills in a real work environment, and supports their move into mainstream, paid employment. Also, at their premises there's a celebrated vegetarian café, organic bakery and an organic tofu unit. Marian MacDonald, the Chief Executive, suggests that they couldn't be more eco-friendly. ‘We recycle all paper and cardboard from our offices and conferences including flipchart paper, all plastic cartons and containers … a pick-up is made from Leep Recycling every fortnight and our driver drops off all glass bottles to a bottle bank every week. Kitchen waste goes into our own compost heap. We even have our own garden and, where possible, try to grow our own herbs and small berries etc. It goes without saying that the Engine Shed holds strong views about the ethical and environmental issues around sourcing their ingredients and prides itself on its Scottish-produced organic vegetables. They've had first-hand experience of the far-reaching effects that positive, informed choices have on people’s lives. 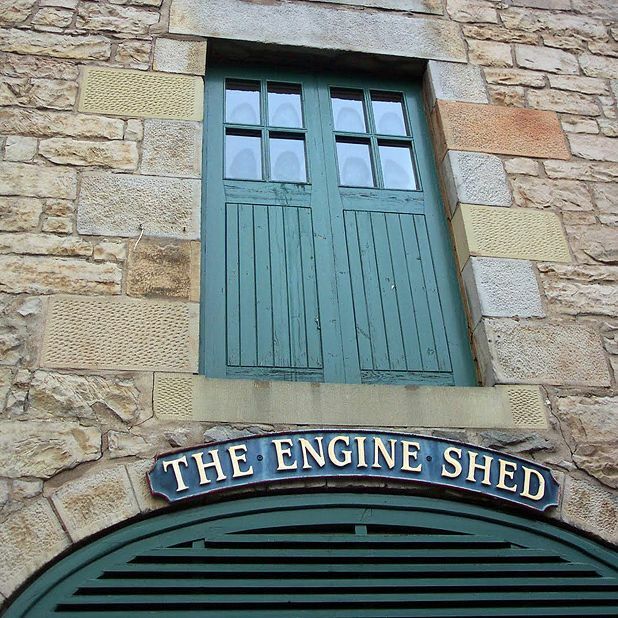 For some individuals, contact with the Engine Shed might be their first experience of working with good quality ingredients and understanding why it’s important to recycle waste. ‘It helps us all transfer good practices to our own personal lives,’ says MacDonald. Zero Waste Scotland is the Scottish Government’s waste reduction delivery programme. It provides a one-stop-shop for support and advice to individuals, businesses and local authorities in order to help them reduce waste, recycle more and use natural resources more efficiently. Ross Burns, their Campaigns Officer, leads the development of the Love Food Hate Waste campaign (www.wasteawarelovefood.org.uk), which raises awareness of the environmental and economic impact of food waste and provides practical advice to Scottish householders on how to reduce it. An iPhone application has been developed to provide consumers with an interactive tool for helping to reduce food waste. The first of its kind, the food waste app has received over 40,000 downloads since its recent launch. In tandem with the new app, the campaign’s website has also been enhanced, and its own Facebook page and Twitter accounts launched, with both already attracting hundreds of fans and followers. A new Love Food Hate Waste blog has also been created where campaign friends and followers can interact, share recipes and pass on advice. The campaign’s newly revamped digital elements will also be used to inform people about Love Food Hate Waste events in their local areas, as well as providing updates on initiatives from food retailers which back the wider drive to reduce food waste. Managing and running the International Eco-Schools programme for schools here in bonnie Scotland, Kate Campbell is no stranger to bringing together a big project. ‘I have been doing my job as Manager for eight years. I manage nine members of staff and our job is to promote and support the programme here in Scotland. Schools register on the programme and work through a series of awards (bronze, silver to Green Flag) – these reflect how sustainable the school is.’ Schools are marked on their eco-issues such as litter, energy, water, health, school travel, school grounds, biodiversity and global citizenship. Hopefully this will start children from the tender age of five knowing the importance of green living, and you're never too young to be responsible with waste. Stewart Dodd is the Managing Director at Satellite Architects Limited. His project ‘Agrarian Renaissance’ centres on the Church Farm Ardeley development take place in rural Hertfordshire. This site has been set up using the Agrarian Renaissance philosophy of local sustainable food, farming, rural care and enterprise. He and his team have been designing a replicable model to bring about a renaissance to rural farms so they can provide a core activity in the rural community. The pilot project in Hertfordshire includes a fully working farm of 175 Acres, a rural hub (community facilities including a canteen, farm shop and spaces for arts and agricultural workshops), affordable housing and a rural care facility.